"Hats off to the past - Coats off to the future!" Cornish Quest is an educational charity based in Cornwall which has been established to encourage the earning of Cornish history, culture, language and law. Cornish Quest was registered as a charity in 2009 and its Charity Commission registration number is 1129987. The organisation is run by a Board of nineTrustees. We believe Cornish history and culture should be more widely accessible to all and we are committed to supporting the teaching and learning of Cornish heritage for people of all ages. Please find out more about our recent projects on this page and explore the site which has plenty of resources on Cornish History. You can support Cornish Quest by attending events and please consider making a donation. We are currently fund-raising to provide Cornish secondary schools with a pack of reference books on Cornwall's mining industries. 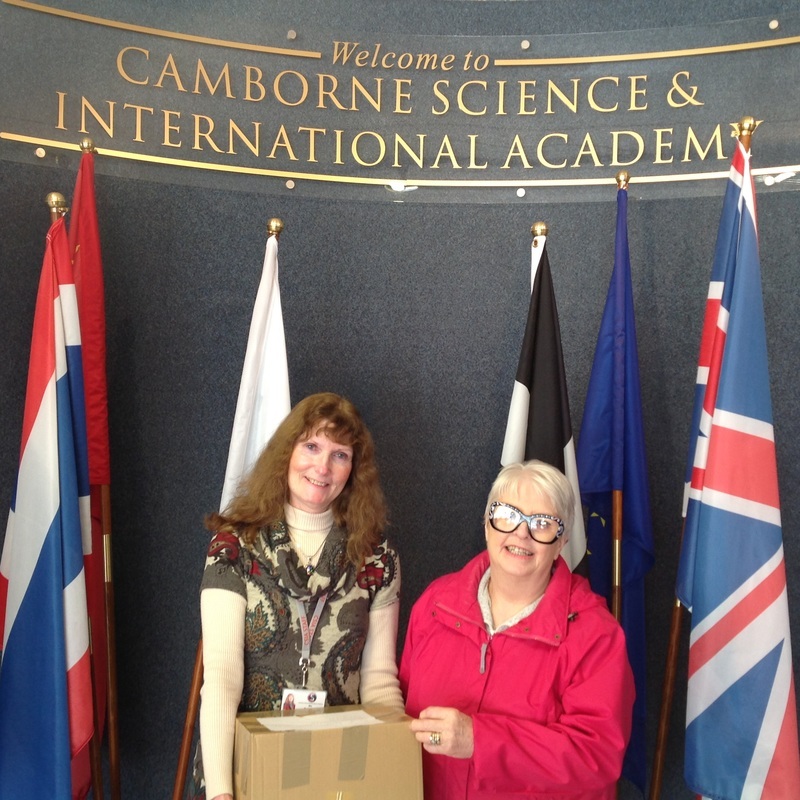 Cornish Quest has just completed the donation of fourteen reference books on Cornish mining and technology to all secondary schools in Cornwall. "I was extremely impressed by the detail, breadth and variety of levels of information within the resources, they will enhance the college collection greatly." "We have a Cornish/local section in the library where these new books will take pride of place"
"These books are going to help a great deal in our research"
"The History department have a module they deliver to the students which will find the resources an excellent source of information for the students to use in teaching classes as well as lessons held in the college library"
Five new Trustees joined the Cornish Quest Board of Trustees at the Cornish Quest Annual General Meeting held on 16th January 2016. Cornish Quest Trustees are in the process of putting together a pack of top level books and resources on Cornish mining to donate to every secondary school in Cornwall. "Cornwall's mining and engineering has had such a profound and positive effect on Cornwall and the world. It is important for children to know and understand this"
The Richard Trevithick quiz book - Trevithick Society. Our work during the Great War 1914-1018 - Holman Brothers Camborne. 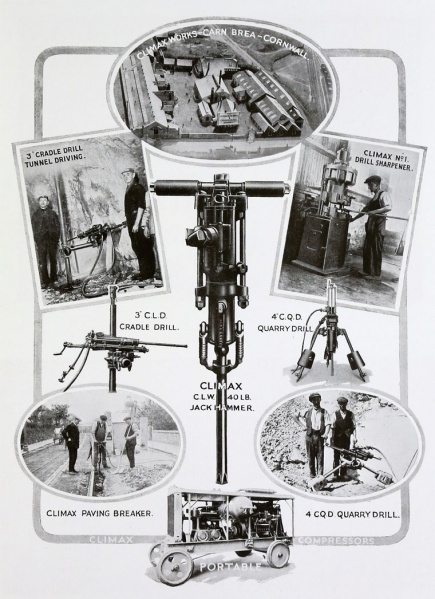 Climax illustrated - Climax rock drill company. These resources will all give young people in Cornwall an accessible insight into the international importance of Cornish mining. The Richard Angove Bursary is an award made to an Institute of Cornish Studies student. 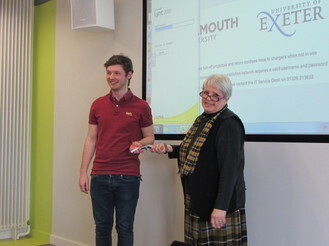 This is an annual book bursary in honour of Cornish Quest's first Treasurer, Richard Angove and is awarded to students of the Institute who show strong commitment to Cornwall and a clear understanding of Cornish history. 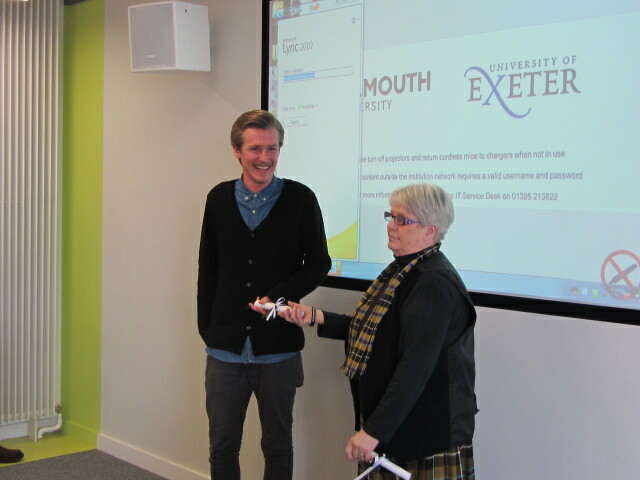 The Bursary is funded by donations from Cornish Quest, Mrs Angela Angove and Ms Juliette Angove. What are the likely benefits to the cultural and political life of Cornwall of the government's recognition of National Minority status for the Cornish in 2014? The winner of this year's Bursary was Alexandre Ollington who was awarded his prize at a St Piran's Day Conference held by the Institute of Cornish Studies at Penryn Campus on 4th March 2016. 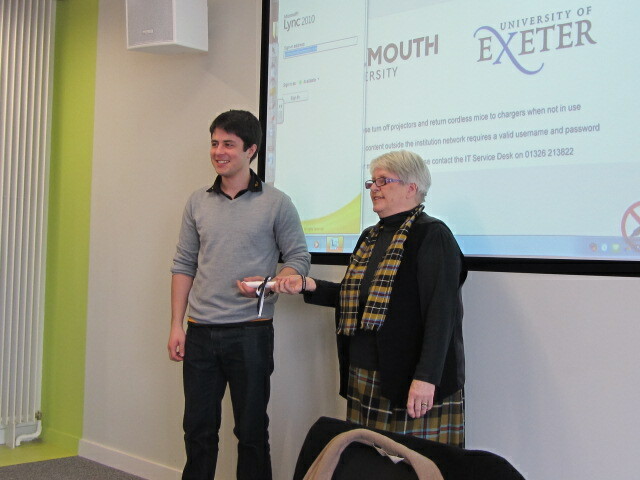 Chairman of Cornish Quest, Mrs Angela Angove presents James Lynch with the 2015 Richard Angove Bursary at the Association of Celtic Students of Ireland and Britain Conference. Please get in touch with admin@cornishquest if you are able to contribute good including hand-made gifts, especially those with a Cornish theme! 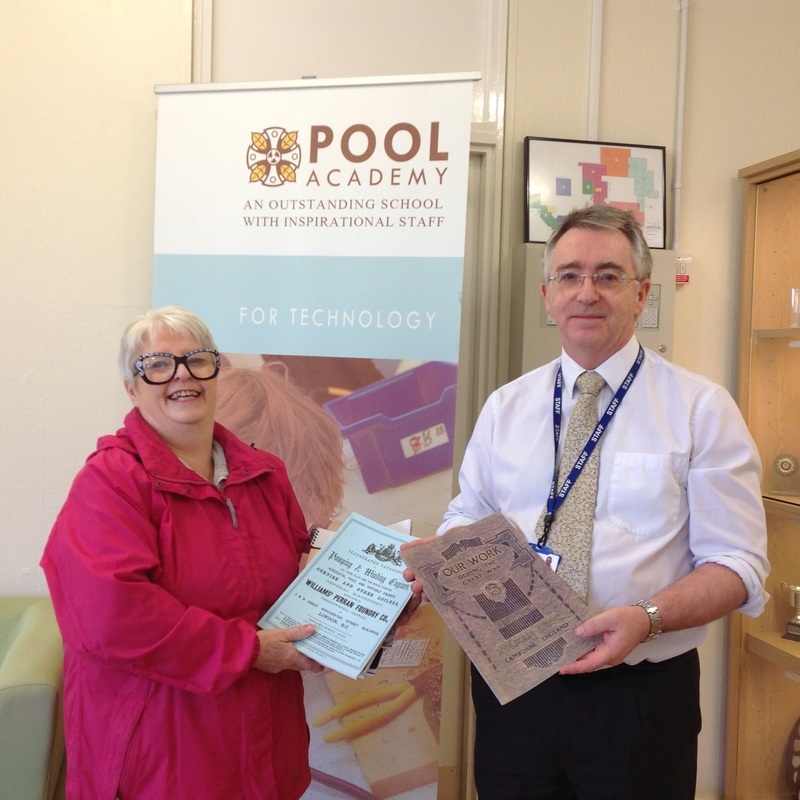 Secondary schoolchildren in Cornwall are able to explore all sorts of aspects of Cornwall's history by checking out the books about Cornwall donated recently by Cornish Quest to every Cornish secondary school. Former Cornish Quest Trustee, Mr Laurie Piper has published a comprehensive volume charting 125 years of a unique Cornish institution, the Camborne School of Mines. 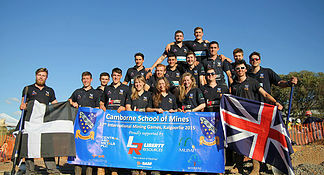 Published by the Trevithick Society with funding support from the Cornish Mining World Heritage Site Partnership, ‘The Camborne School of Mines - the History of Mining Education in Cornwall’ is the result of many year’s research by Lawrence Piper, a former Principal of what is now Cornwall College.